Welcome to Week 14, and congrats on still reading the waiver wire. It means you’re still alive and playing for the big prize! Over the last few weeks, we’ve gotten into building depth and stashing upside players. On the Week 12 waiver wire podcast I went through all of the handcuff options, so hopefully you’ve added the appropriate redundancies at this point. Having said that, I’ll run through all of the handcuffs again on this week’s pod, since so much has changed over the last few weeks. 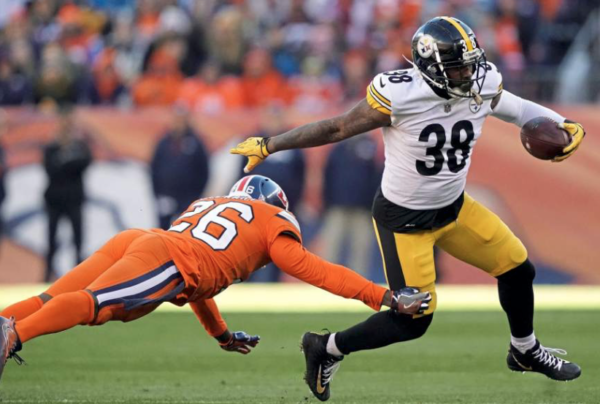 ***UPDATE*** Just in case you live in a cave, James Conner is OUT for Week 14–making Jaylen Samuels an absolute must-add. Ridley, with the news that Conner will miss at least a week, has some value. He COULD end up being the back to own, but my money is squarely on Samuels, who is my top priority add this week. MIzzell is a player to consider if you own Tarik Cohen. He’s that rare “satellite back” handcuff opton. It’s something to consider if you rely on Cohen in a deep format. He’s also not a bad deep dynasty add. Foreman was finally activated, so he’s a nice stash if you have space. Godwin is now in the driver’s seat due to DeSean Jackson’s thumb injury. I’m betting on Godwin remaining in a primary role as Jackson’s injury is significant enough to hamper his effectiveness—even if he does suit up. Sutton’s role is not dependent on another player, so that security could make him a better add if you must play the player this week. Denver’s schedule is favorable and they vistit the 49ers on Sunday. Reynolds came up a bit short last week but I like his role and his remaining schedule. It’s also good that the Rams need more wins to lock up home-field advantage throughout the playoffs. They will be pushing hard every week unless the Saints collapse. Samuel is seemingly on the verge of breaking out. His playing time has increased significantly and he’s making explosion plays with stunning regularity. Logic says that he continues to be given chances. Of course, it’s Carolina, so you never know. They do love their Jarius Wrights and Torrey Smiths. Calloway may be a bit more stable compared to Samuel and that’s due to a lack of competition for playing time. Pettis blew up last week and he has the talent to keep it going. He’s got a solid matchup with Denver this week. Zay Jones gets a bump with the release of Kelvin Benjamin. John Ross is a late add because I missed him this morning. He’ll get a bump in time/targets with AJ Green out. Doctson is more valuable with Alex Smith gone, not to mention most of his competition for targets at WR. So many injuries in Washington. Higgins is a nice fot for Baker Mayfield and he’s looking healthy now. Solid WR4 going forward. Samuels is a late add now that he’s locked into a Week 14 role. On certain sites, he has TE eligibility, so use him there if you can.